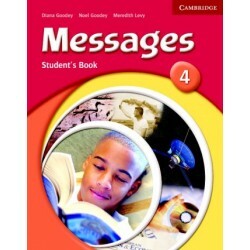 Messages is a motivating lower-secondary course. Teachers and students are rewarded with immediate results at every 'Step' of each unit. Students can use their English to explore a complete set of online 'Infoquest' websites. Reading skills are developed through continuous stories and regular 'Life and culture' sections. KET- and PET-style exercises help develop exam skills. Exercises where students can work to their level make the course ideal for mixed-ability classes. Fast finishers can complete the 'Try this!' sections and extension exercises in the Workbook. Messages has been correlated against the CEF. The 'Coursework' activities at the end of each module provide students with examples of work to add to it. Regular 'Learning diary', 'How's it going?' and 'Study skills' sections create independent learners who take responsibility for their own progress. Level 1 assumes students have studied English at primary school, but gives full coverage of all basic language areas. 'Use what you know' sections at the end of each step activate the language students have learnt and provide them with immediate results. 'Life and culture' sections and continuous stories provide rich reading resources about the outside world to stimulate students' interest. Coursework activities in each review section on a connected theme at each level (for example, Level 1 My Everyday Life) mean students build up a portfolio of work for each year. A variety of exercises such as the 'Try this!' sections and extension exercises in the Workbook mean students can work to their own level. Teacher's Resource Pack provides photocopiable tests, extra communication and grammar activities and pattern drills. KET and PET-style exercises train students in the skills they need for these exams. An attractive and innovative four-level course for lower-secondary students. Each unit of the Stud.. Description An attractive and innovative four-level course for lower-secondary students. Ea.. 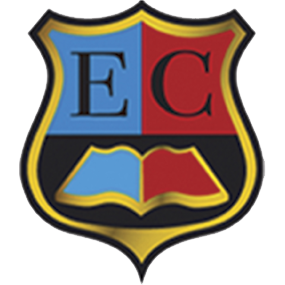 Description An attractive and innovative four-level course for lower-secondary students. Th.. Description An attractive and innovative four-level course for lower-secondary students. In addi..